Until a friend of mine posted a recipe on Pinterest for chia smoothies, I had no idea that there were such things as chia seeds. 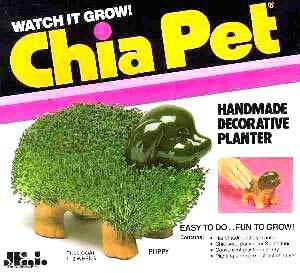 I knew of chia pets, but I didn't know that they were named after the seeds that grew their 'magical hair'. I wasn't weirded out that you could eat the hair follicles of those strange little pets, but I was surprised that I hadn't heard of them as a food item before. 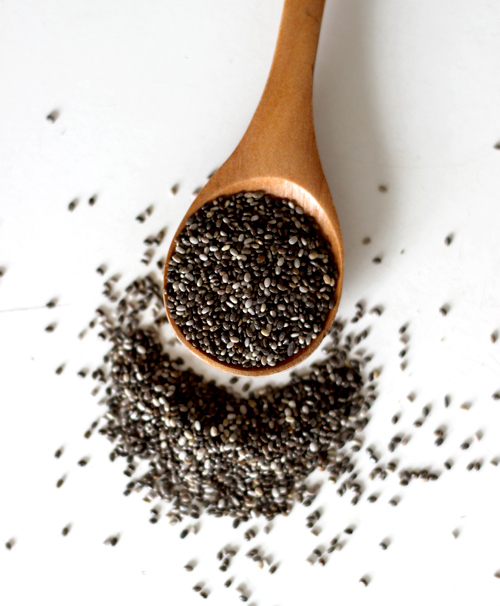 I was intrigued and did some internet searching on how to use them in a cooking/eating way and apparently there are lots of internet folk raving about the health benefits of chia seeds. So the next time I found myself at the organics store I bought a little bag of chia seeds to try out in my cooking. I tried it in couscous and smoothies, and it didn't seem to make any difference in taste or texture to either (given that I put berries with seeds in my smoothies anyway). Note: I bought my chia seeds from the organic store not because I only eat organic, but because I figured they were such an obscure item that I wouldn't be able to find them anywhere else. However, a few days later I found them in the bulk bins at my local grocery store - a Pak 'N Save of all places! So I guess they're they must be more common than I thought. I didn't realise you can get them there. I will have to pick some up. A buddy of mine has a chocolate chia pudding recipe that I am dying to try. I love tapioca pudding as well. September Sort It - I'm Almost There!